Wild Sunflower is an erect annual with daisy-like yellow flowers 3 – 6″ with red-brown centers on branched stems from sturdy, hairy stalks ranging from 2 – 10′ tall. An erect annual with daisy-like yellow flowers 3 – 6″ with red-brown centers on branched stems from sturdy, hairy stalks ranging from 2 – 10′ tall. This true North American native is a familiar sight has such an interesting history. Originally cultivated by North American Indians as a food plant over the last 3,000 years and selected to increase the seed size. The seeds have been used ground, raw, dried, roasted and for oil. Wild Sunflower shows up in myths and legends of many cultures and has been used medicinally by native peoples and explorers and colonists. The sunflower traveled to Europe where it was further cultivated. You can read more about the history from the National Sunflower Association. This species is a rich source of nutrition for wildlife and people. 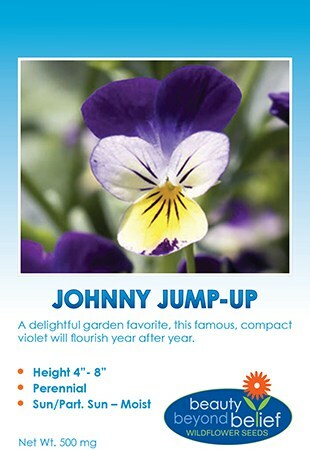 They also make a great addition to a wildflower bouquet! Rate: 1 oz./100 sq. ft.